Telemedicine and Telehealth: The Future of Medicine? Telemedicine is the newest wave in medical care sponsored by distance technology. 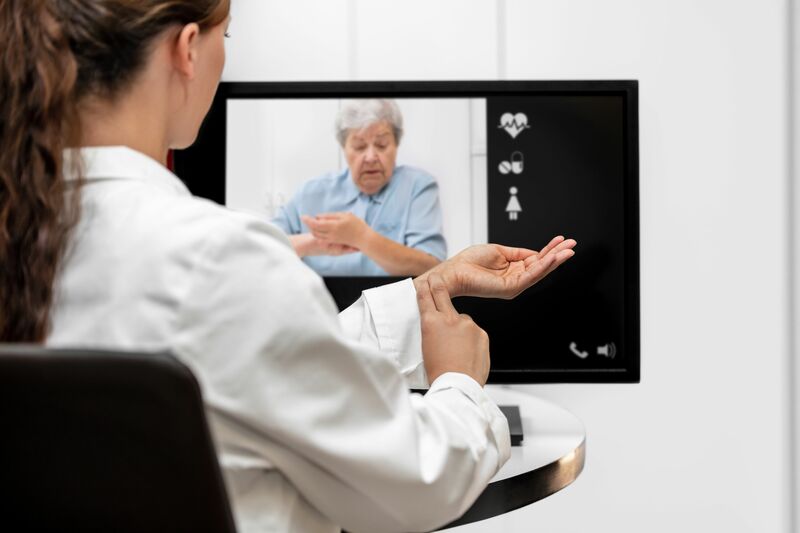 Telemedicine allows physicians and patients to connect even though they may be miles away. This new medical phenomenon has significant implications for providing health care to individuals in rural areas, on cruise ships, and astronauts while they are floating in space as well as patients closer to home as those in nursing homes, schools, and those who are at home. Interactive video and aided computer technology can now allow a physician who is not in direct contact with the patient to diagnose and treat any illness. Currently, telemedicine is a way for local or staff physicians to communicate directly with a specialist without physically bringing the specialist to the patient or the patient to the specialist. As noted in the above situations, bridging what is often a great physical distance using this technology can allow the two physicians and the patient to work together to provide care. Telemedicine also allows for the exchange of medical records such as x-rays and other pertinent patient information. However, as with any new technology, the exchange of confidential patient information in an environment that may not be secure has brought a whole new set of problems and concerns to this emerging new healthcare system. In this era of identity theft that has been facilitated by a lack of appropriate security surrounding the electronic transfer of personal information, new technologies such as telemedicine, while promising exciting advances in the delivery of healthcare, offer new ways for unauthorized access to individual information. Certainly, this information has to be safeguarded as it may likely contain personal and financial information, but highly confidential health information as well. The effective safeguarding of this information is the current hot topic in telemedicine. Currently, state and federal governments have enacted rigorous legislation that requires the conscientious safeguarding of an individual’s financial, medical, and other personal information. Although there is no such thing as ensuring that all personal information is 100% secure, the electronic transmissions required for telemedicine are far from safe. Ideally, the access to these transmissions will be limited only to appropriate parties via an encoding similar to that used in “spy” technology. The ability to ensure that telehealth information is completely encrypted as it sails the world’s airwaves is certainly available, however, it is extremely expensive which would likely limit its availability as well as further complicate the relationship between telemedicine and insurance providers. However, limited access and information encryption appear to be the most direct way to ensure information confidentiality.